Trusts typically are structured to provide for the best interests of the beneficiaries. The settlor may have had the best intentions when establishing the trust, but a trust created by a great-grandparent more than seven decades ago for the benefit of their great-grandchild might include provisions that prove impractical or unviable when it comes time to administer the trust for the great-grandchild’s benefit. 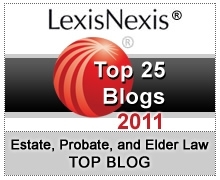 Is there a way to remedy an outdated irrevocable trust? Under certain circumstances, yes. It may be possible to amend the terms of an irrevocable trust by “decanting” the existing, less than ideal trust into a brand new one. As of this writing, North Carolina ranks #15 nationally as a top jurisdiction for trust decanting. “Decanting” refers to the transfer of some or all of the assets held in an existing trust into a new trust with different and more favorable terms for the beneficiaries. Decanting must be allowed under applicable state case law or statutory law. Even if allowed by state law, the trust agreement may contain specific instructions with regard to when or how a trust may be decanted. In addition, to be eligible for trust decanting, the original trust may need to grant to the trustee a discretionary power over both trust income and principal. 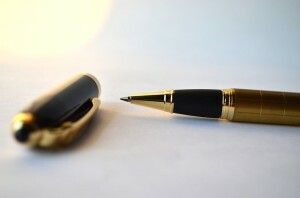 Once it is determined that a trust can and should be decanted, the next step is for the trustee to create the new trust agreement with the desired provisions. The trustee must then transfer some or all of the property from the existing trust into the new trust. Any assets remaining in the existing trust will continue to be administered under its terms; an empty trust will be terminated. When decanting a trust in North Carolina, the trustee may not reduce any fixed income, annuity, or unitrust interest of a beneficiary of the original trust if that interest has come into effect with regard to a particular beneficiary. The beneficiaries of the second trust may include only beneficiaries of the original trust. Decanting is just one way to remedy an outdated or impractical trust. Learn about more ways of modifying irrevocable trusts.